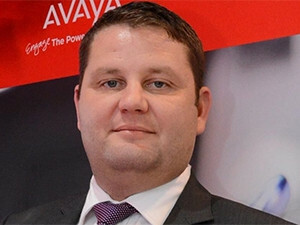 Enterprises in Africa are looking at digitisation strategies to drive operational excellence, says Avaya's Danny Drew. Avaya is partnering with ICT services company ISON Technologies to help organisations across Africa achieve their digital transformation objectives. Avaya will deploy its digital and smart services to ISON's operations on key strategic accounts across Africa. According to Chhavi Sood, senior manager of marketing at ISON Technologies, Avaya and ISON are looking to transform the customer experience in a range of industries, including telecoms, banking and financial services. The aim is to give organisations a 360-degee view of their customer, so they can act in real-time to help their business-to-consumer customers, adds Sood. Avaya's transformation into a customer-centric company focuses on software and services, and its solutions fit well with ISON's strategy of customer experience management, says Jitendra Israni, CEO of ISON Technologies. Israni says ISON and Avaya are providing contact centre solutions to some of the largest mobile communications companies in the world. "With Avaya able to deliver a complete solution for the customer experience, including voice and data, we are keen to extend the partnership with ISON Technologies further," says Danny Drew, MD of Avaya SA. Enterprises in Africa are looking at digitisation strategies to drive operational excellence, improve customer satisfaction and expand to play a greater part in the global economy, notes Drew. Mark Boulton, CMO at IFS, says large industries have realised the potential that digital transformation offers, but in many cases don't have a strategy in place to leverage it yet. "It appears there is also great uncertainty regarding who is actually responsible for driving the digital transformation agenda within companies. Organisations must clarify their goals and outline clear strategies in order to utilise the full potential of digital transformation." Sood says a clear, crafted strategy and definition of internal responsibilities should be the first step in digital transformation. Adoption of technologies while upskilling the workforce should serve as next steps, she adds.